All content on this website is the property of J.M. Rosengard and is protected by U.S. and international copyright laws. Individuals may use the pictures in the Travel Galleries on their personal website or blog under the strict condition that they link back to the original page containing the picture, as shown below. Any other use is subject to prior agreement. 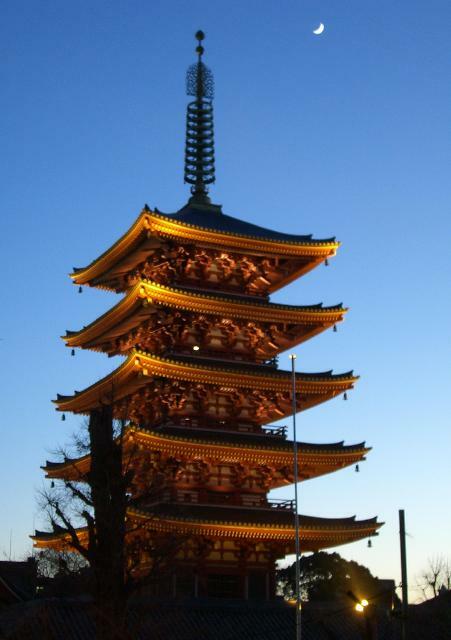 If you would like to use the picture on http://w2.syronex.com/jmr/travel/2005/tokyo/slides/sensoji-temple-at-dusk-3.jpg, you must link the picture on your site to http://w2.syronex.com/jmr/travel/2005/tokyo/slides/sensoji-temple-at-dusk-3.html. Note: We have in the past sent DMCA complaints to hosting companies demanding they take down offending sites. We also got ad publisher accounts closed.